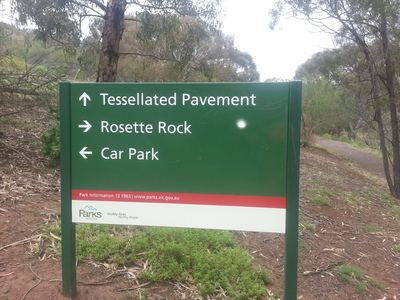 Have you been to Rosette Rock? Located about 20 kms North to Melbourne is the Organ Pipes National Park, and in it is the Rosette Rock. Best Mini Golf in Melbourne? Opinion about the Light in Winter at Federation Square? Best job search websites for Melbourne area? Been to the National Rhododendron Garden? What is your favourite Melbourne icon? Are you a member of RACV? Best way for facial hair removal? Where is the best bakery in Melbourne? Where is the best Malaysian food in Melbourne? Where is the best Thai food in Melbourne? Where is the best Indian food in Melbourne? Where is the best Mexican food in Melbourne? What is the best garden in Melbourne CBD? Do you like the Myki card for the transport system in Melbourne? Where is the best market in Melbourne? If you had guests from overseas, which Melbourne attraction would you take them to first?